Omega Pharma-Quick Step was sitting pretty with twenty kilometres to go in the 2013 Paris-Roubaix, with Stijn Vandenbergh and Zdeněk Štybar in the leading group of four, Netherlands champion Niki Terpstra in the following group, and Sylvain Chavanel in the group behind that. Everything was to unravel on the cobbles of the Carrefour de l’Arbre, however, as both Vandenbergh and Štybar were blocked by fans and the Belgian team’s fight for victory was over. On the entrance to the final five-star sector Vandenbergh - who had been in the lead for some time - looked to be losing contact as eventual second place Sep Vanmarcke (Blanco) began to accelerate, but was then sent sprawling onto the pavé; Zdeněk Štybar, however, was looking strong, but he too collided with a fan and lost contact with the leaders. "I was just on the side of the road, and a spectator was lined up in front of me, " Vandenbergh explained afterwards. "So I hit him and I crashed, and that's that. I chose the side and not the cobblestones. I was too close to the spectators and I crashed. For Vandenbergh it was a case of looking back at what might have been. The 28-year-old might have finished on the race podium, but arrived in the velodrome with the second chasing group - his skinsuit torn and blooded - and crossed the line in 20th place. “I felt really good when I was away with Sep Vanmarcke earlier in the race,” Vandenbergh said. “I was riding just 90 percent, and I saw on his face that he was suffering and I felt better. He is 2nd today, so it is hard for me that I am not on the podium today. “When Vanmarcke saw Cancellara coming just before the pavé he didn't want to ride anymore,” he continued. “He waited, and I also waited. So then we went with four. It was a good scenario for us, but we had bad luck. Maybe I could have even won. When Fabian went, Vanmarcke was able to stay on his wheel and I felt stronger than Vanmarcke. It's always possible to attack when they are busy looking at each other. So, if you can podium, for sure you could always win as well. “As for my crash, my left elbow will need some stitches due to a deep wound and there is pain on my leg. But I'm in my rest period now, so I can recover." For Štybar too it was a case of what might have been, as the Czech rider looked strong in his debut in the Queen of the Classics. The former cyclocross World champion was the winner last time he rode on the Roubaix velodrome - in the cyclocross World Cup in January 2010 - and was arguably the freshest of the four after sitting on Cancellara’s wheel for several kilometres. 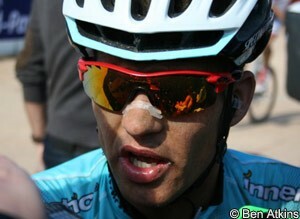 "I had Stijn in front at first, so I didn't have to pull," Stybar explained. "I was just following Cancellara. I had really perfect legs and I was feeling very good. Then, there were three of us away and I thought 'I think I am one of the fastest,' so I was really focusing on what I could do in the final. 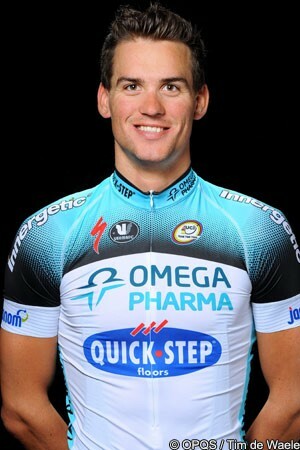 “Niki [Terpstra] was behind me so I didn't have to pull at all,” he added. “I was really in a super situation. But after there was some photographer or something in the way and I hit him with my shifter and I nearly crashed. Before I could put my foot back in the pedal I just lost contact with the wheel of Cancellara. “Once you have a gap of five to ten seconds, it's impossible to close on this parcour, especially after 240 kilometres,” the Czech rider reasoned. “So on the one hand I am extremely disappointed, but on the other hand, for the first time here on the cobblestones and the Classics, I can be happy I was really close. I did a final and once I hope to come back and win this race." Štybar chased for several kilometres, but lost his place on the podium as he was reeled in by the chasing group on the way to the velodrome. Having been able to sit in all the way Netherlands champion Terpstra was one of the freshest as the group arrived on the track, and was able to give the Belgian superteam the consolation of third place in the race it won through Tom Boonen the previous year.